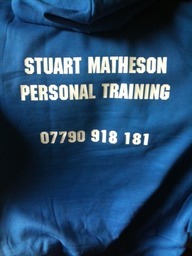 Welcome to Stuart Matheson Personal Training. Offering Personal Training and Nutritional Advice in the area of Fife. I am a fully qualified Level 3 Personal Trainer and REP's registered. Other qualifications I have are Pre & Post Natal Specialist, Older Adults Specialist, Kettlebell Instructor, Metafit Coach, Suspended Body Weight Instructor and an Advanced THUMP Boxing and Kickboxing Instructor. Whether you are looking to lose weight, increase your fitness, increase muscle or just looking for a extra boost, I can help you reach your goal. 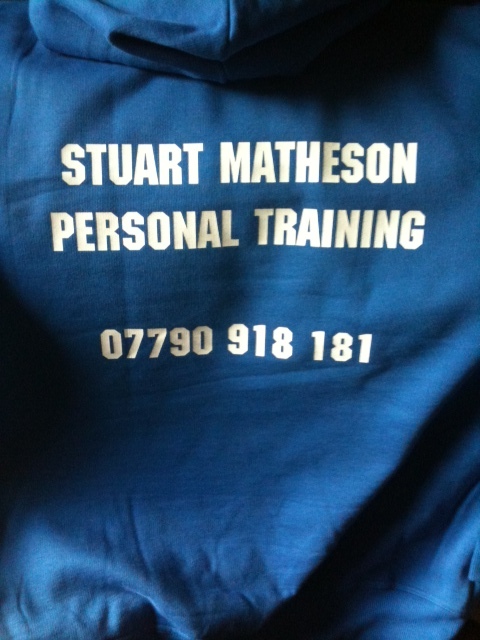 Testimonials are curated by Stuart Matheson Personal Training and are not independently reviewed or verified. "Our age ranges from 18 to 50. Stuart catered for everyone's individual needs and was challenging to the max without a BOOT CAMP mentality. Stuart committed to us 100% and gave us additional tools re our dietary requirements and needs, after studying our food diaries. He also gave us individual training programmes relevant to our own fitness levels and needs to continue and commit to in between our sessions. He introduced us to new fitness experience, eg kettle bells and boxing, which we all loved . We were able to train in our own home with some of our own equipment, but Stuart brought equipment and gave us a wide variety of training methods. We would all recommend Stuart as a personal trainer, as we have all gained so much from the experience. "Only in August 2013, I signed up for one on one personal training with Stuart. I wasn't overweight but I needed to tone up and lose a few pounds here and there. I lack motivation when it comes to training on my own so, I knew something had to be done. After a few sessions, I noticed small changes such as my body fat percentage dropping. I was doing Metafit with Stuart, as well as a lot of circuit training which I thoroughly enjoyed. I noticed myself becoming fitter and I was surprised at how quickly this was happening. 5 weeks into the sessions, I had a present surprise of finding out I had dropped 2 dress sizes which led me to cry of happiness in the changing rooms on River Island. I now have the confidence to carry on, on my own knowing I have been taught extremely well.